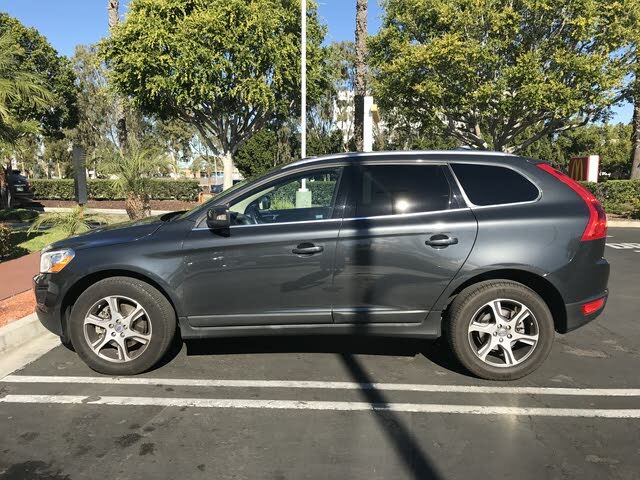 Looking for a Used XC60 in your area? CarGurus has 11,746 nationwide XC60 listings starting at $4,000. Since debuting as a 2009-and-a-half, Volvo appears dead set on making the first-generation XC60 crossover incrementally perfect before making any significant changes. Overall drivers are very pleased—there's just a few little tweaks they would like to see before singing nothing but praises far and wide. Though Volvo already made a grand effort with some engine shuffling and other tweaks in its first years, some especially harsh critics still seem to think this mid-priced middle-of-the-road 5-seat compact crossover should be more than advertised and follow the drum of other makers into elitist territory, but that's just not what this Swede ride is all about. The 2013 Volvo XC60 gets the same newly standard headlight washers and rain-sensing windshield wipers as nearly every other 2013 Volvo, but it also gains a leather-wrapped steering wheel and 18-inch alloys. Beyond that, current drivers wish for remote start capabilities and better fuel economy, but universally praise the XC60's highly confident car-like driving dynamics and spirited acceleration, with zip-to-60 times ranging from 9 seconds to 6.2, making the XC60 T6 R-Design's performance second only to the BMW X3 xDrive35i's. Style is also high on the list and a common point of praise ever since Volvo redesigned its entire lineup, but the optional real-oak interior bears a truly rare kind of beauty. Parents especially appreciate the optionally built-in booster seats that, like most other family-oriented Volvos, may eventually become standard in later iterations. As for those hopes and dreams of current drivers, the good news is Volvo does use remote starters in its lineup. However, at present that technology hasn't spread much further than its S80 flagship, so that's not a likely addition until the XC60 is reincarnated, and that won't likely take place until about 2016. As for fuel economy, if you want better than 19 mpg city/25 highway at best with the front-wheel-drive (FWD) 3.2-liter inline-6 or 17/23 at worst with the all-wheel drive (AWD) turbocharged 3-liter inline-6, then you don't want a capable crossover—you want a mythical Pegasus, and nobody makes those anymore. That said, if you need 67 maximum cubic feet of space, no more than 9 seconds to hit 60 mph, luxurious touring comfort for 5, confident car-like road manners and impeccable safety with a strong reputation for reliability, look no further than the XC60. Speaking of safety, the XC60 comes standard with Volvo's City Safety feature, which uses the brakes and all sensors and beepers at its disposal to mitigate and avoid low-speed accidents by slowing the car and alerting the driver. If you don't mind springing a bit extra, Volvo also offers enough optional safety features to make even a Beemer owner jealous. Indeed, many present XC60 owners are recent BMW defectors. Aside from those feature updates, the entire 2012 lineup carries over into 2013 for the first time since this model's debut, indicating a certain level of perfection in Volvo's eyes. These years' 3 basic trims include the 3.2-liter-powered 3.2 and the 3-liter turbo-powered T6 and sporty T6 R-Design, each with slightly more power than the last, but only the T6 models are limited to AWD-only, whereas the 3.2 may optionally have either AWD or FWD but without the notoriously smooth turbo power. All trims use a 6-speed automatic and may be upgraded to the Premier Plus or Platinum "trim levels," since these have become basically just option packs thanks to Volvo's new simplified system. What's your take on the 2013 Volvo XC60? 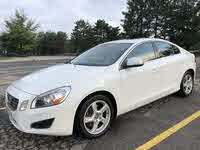 Have you driven a 2013 Volvo XC60? wing mirror would not fold in on locking the car, but drivers side did. the mirror has been push closed now won't open on unlocking. Why Does My Volovo Have An Odor When The Air Conditioning Is On?